Jana Cole supports all aspects of commercial real state transactions, including preparation of organizational and transaction documents, monitoring project schedules, review of title, survey and other due diligence matters, coordination of closing and post-closing activities for real estate acquisitions, dispositions, leasing, development and construction projects. She also provides support in our common interest development practice, preparing all documents required by the California Bureau of Real Estate for issuance of both Conditional and Final Public Reports, including, among others, CC&Rs, disclosures, purchase and sale agreements, bylaws, articles of incorporation, association deeds, homeowner’s deeds, irrevocable escrow instructions and community handbooks. 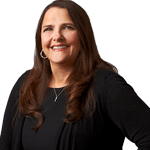 Ms. Cole’s over 25 years of extensive experience comes from working both in-house for a major retail tenant, a landlord with a diverse portfolio and for several other Bay Area law firms. Draft documents and manage process of obtaining Final Public Reports in numerous condominium developments throughout California. Disposition, acquisition and related due diligence production and closing services for large national commercial property owner in multiple purchase and sale transactions throughout the U.S. Copyright © 2016 SSL Law Firm LLP. All Rights Reserved.